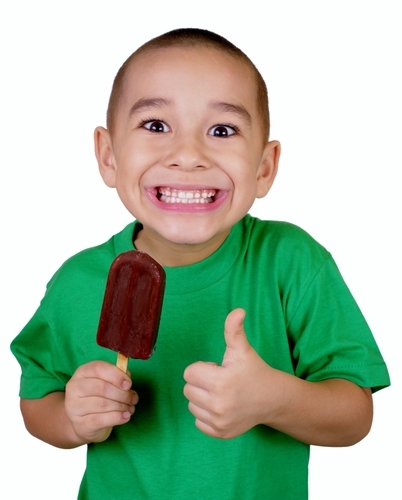 Psych News Alert: Is Ice Cream Addictive? Is ice cream as addictive as drugs? That's the question that research from the Oregon Research Institute, published in this week's American Journal of Clinical Nutrition, has raised. And the answer appears to be "yes." Investigators tested their hypothesis that frequent ice cream consumption would be associated with reduced activation in reward-related brain regions, such as the striatum, in response to receipt of an ice cream–based treat. They had 151 healthy-weight adolescents undergo fMRI during receipt of an ice cream milkshake and during receipt of a tasteless solution. Percentage body fat, food intake, and food craving were assessed. Milkshake receipt robustly activated the striatal regions, yet frequent ice cream consumption was associated with a reduced response to milkshake receipt. Percentage body fat, total energy intake, percentage of energy from fat and sugar, and intake of other energy-dense foods were not related to the neural response to milkshake receipt. "Our results provide novel evidence that frequent consumption of ice cream, independent of body fat, is related to a reduction in reward-region responsivity in humans, paralleling the tolerance observed in drug addiction," they concluded. Other recent brain-imaging studies have supported the theory that overeating is also an addiction. Read more about it in Psychiatric News here.